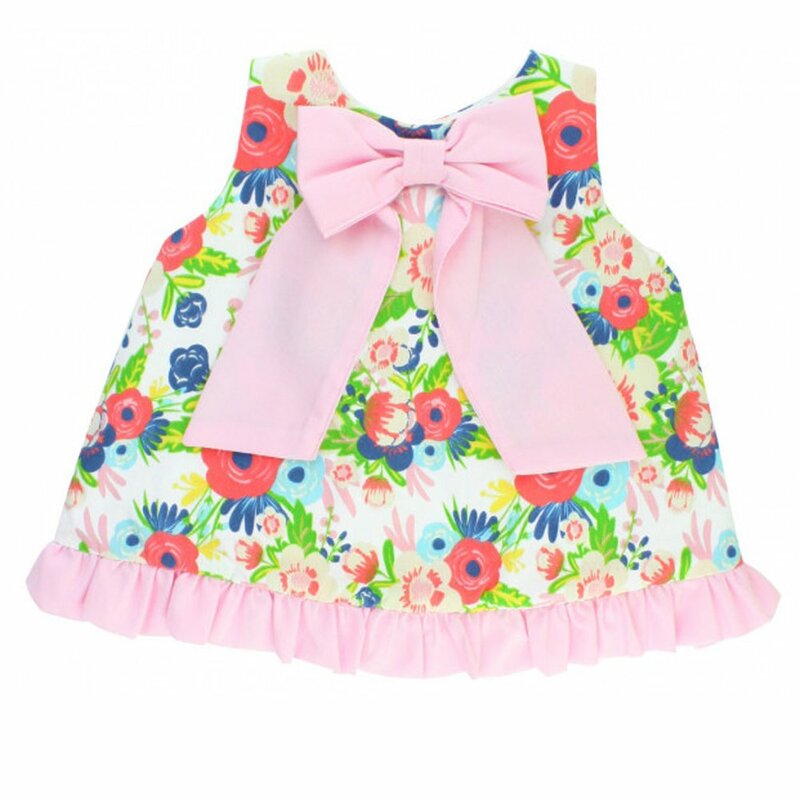 This "English Garden" 2 Pc. 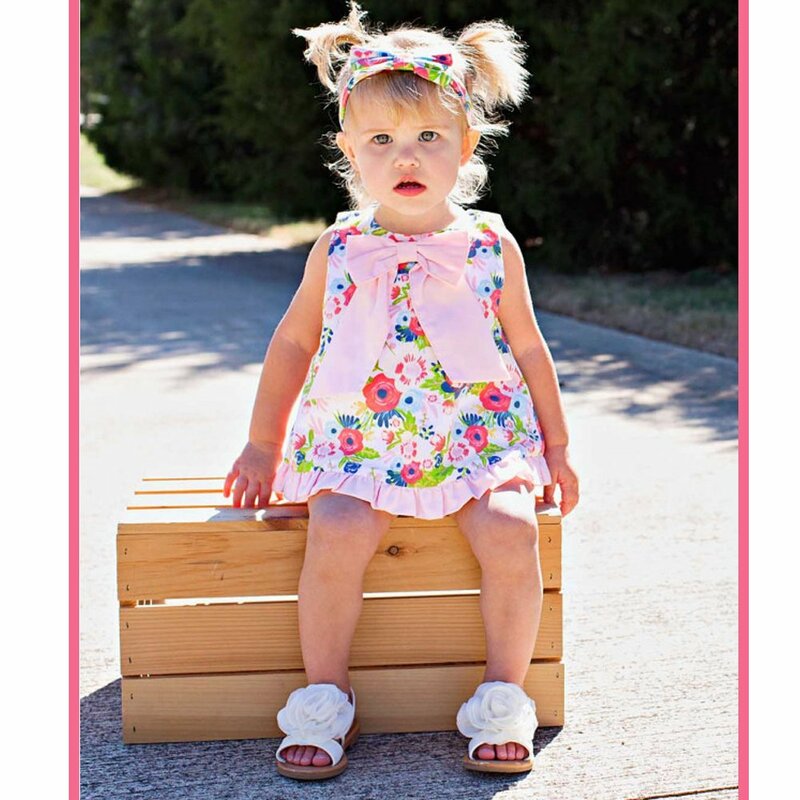 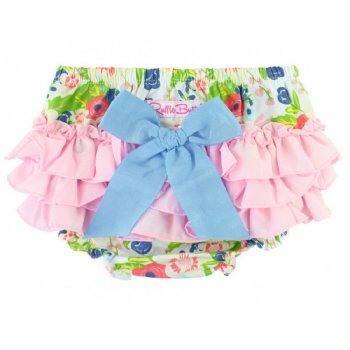 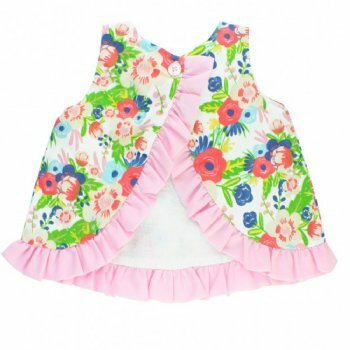 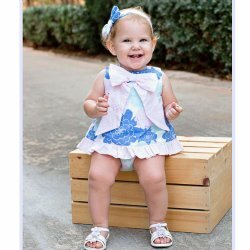 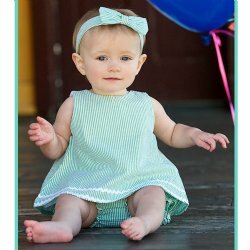 Swing Top and Diaper Cover Set by Ruffle Butts features a lovely splash of spring and summer flowers that just "pop" off the white background. 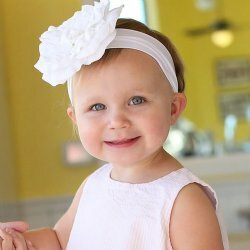 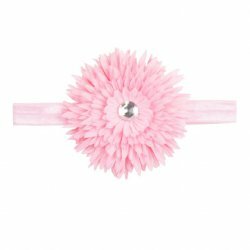 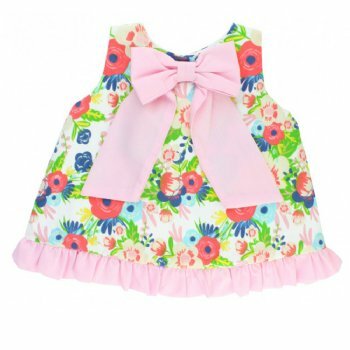 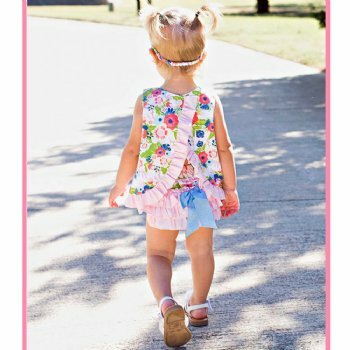 The floral print on the swing top is accented with a large pink bow and trimmed at the hem with a pleated, pink fabric a ruffle. 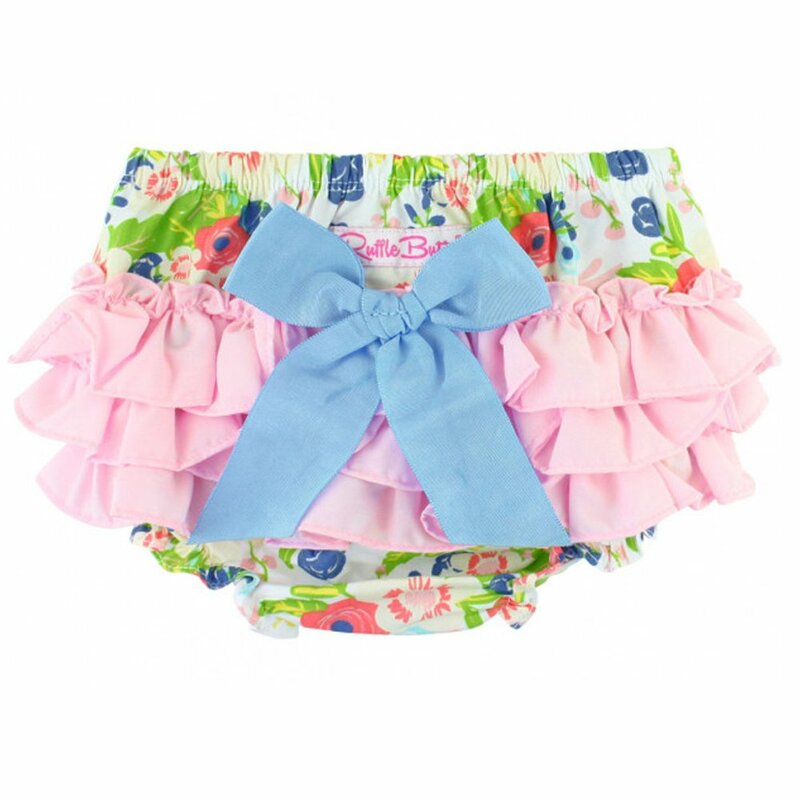 The matching diaper cover coordinates beautifully with rows of Ruffle Butts' signature ruffles.